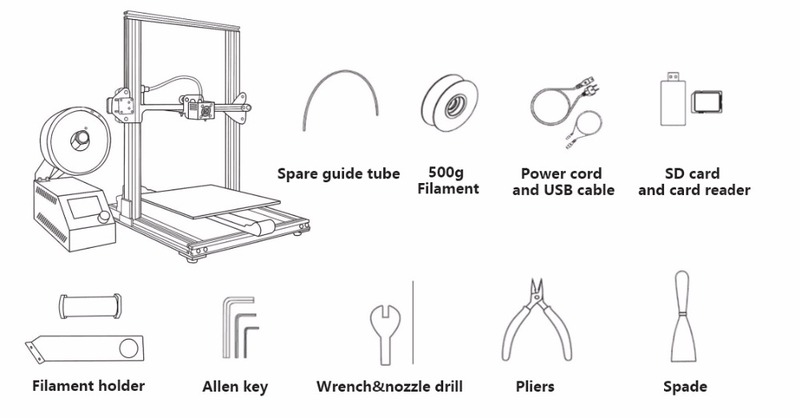 Sunhokey S1 V Slot 3D Printer is large size budget 3D Printer. It comes with Aliminum Heated bed and Fiber glass plate, Offer printing size 260 x260 x 260mm, Built with Imported V slot aluminum frames for stability. Able to print almost all types of material available in the market with its exotic hot end capabilities.